Bacon Lovers Rejoice! 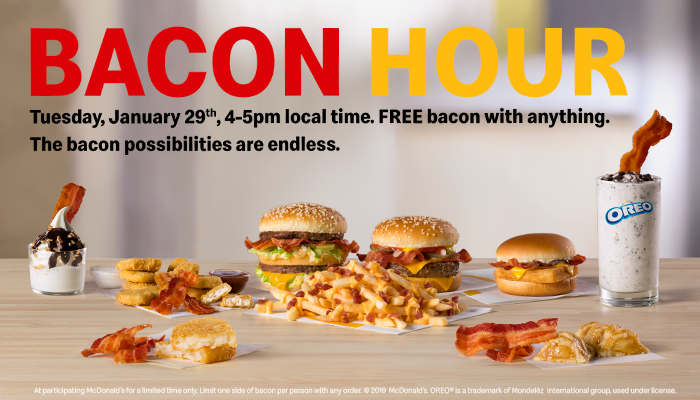 Treat Yourself to Free Bacon During Bacon Hour at McDonald's on January 29th! I partnered with McDonald's on this post. All thoughts are my own. Did someone say bacon? Just the mere mention of the word has a tendency to make people's ears perk up and mouths water. I was never a huge bacon eater before I got married, but my husband was quick to point out to me that bacon makes everything better. I'd generally just enjoy bacon as a breakfast food, but through the years, I've come to love bacon on everything from burgers to pasta. It's true what they say- everything tastes better with bacon, and McDonald's is giving customers the chance to enjoy delicious, free bacon with any menu item purchase this Tuesday! Bacon has become such a staple in our lives. I cook with it at home more often than I ever thought I would. I buy it weekly at the grocery store, and cook up a batch of it to use throughout the week- adding it to dishes like avocado toast, sandwiches, burgers, sides, soups, and on and on! Adding bacon to favorite food at home is awesome, and get this- now you can get your bacon on at a family favorite restaurant- McDonald's! This Tuesday, January 29th, McDonald's is giving everyone the opportunity to enjoy more bacon, with their first-ever Bacon Hour! That's right, you can snag FREE bacon with any anything on the McDonalds menu between 4-5 pm tomorrow! All McDonald's customers will receive a side of two slices of thick cut, Applewood smoked bacon with anything on the menu, at no additional cost. 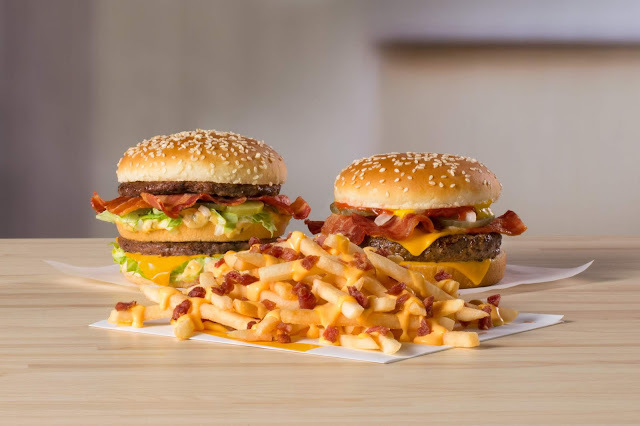 McDonald's is adding bacon to three of their menu classics- The Big Mac, the Quarter Pounder, and their classic fries! What could be better? These will be available on the menu going forward, but January 29th is your day to get a little wild and enjoy bacon along with anything you wish! The fact that I can add bacon to my Big Mac is sort of blowing my mind right now. If there's one top menu item from McDonald's that's a huge craving for me, it's the Big Mac... sometimes I just have to have one! A Quarter Pounder is a go-to for me, and the hubs when we're on the road with the kids, or when we want to grab a quick bite. My little nuggets go crazy over McDonald's chicken nuggets anytime, and it's the first thing they ask for when given the option to choose a place to eat! Bacon + McDonald's Chicken Nuggets? Yes, please! Dip, 'em, stack 'em, and maybe even wrap 'em in that delicious bacon! Hey, you might even crumble the bacon in one of the dipping sauces! I know my toddler will be so excited to be able to have bacon with her nuggets this Tuesday! Are you a Filet-o-Fish fan? Another staple to the McDonald's menu is this amazing sandwich, which you know is going to be even more 'fin-omenal' with bacon added into the mix! Fish puns aside, this is a delicious flavor combination! Personally, I can't wait to get my hands on an ice cold Coke and some bacon covered fries! Oh, my stars... I am counting down the minutes to Bacon Hour, Y'all! Just as bacon isn't just for breakfast, it's also perfect for dessert! Oh, yeah! If you've never tried bacon with your ice cream, you are missing out! 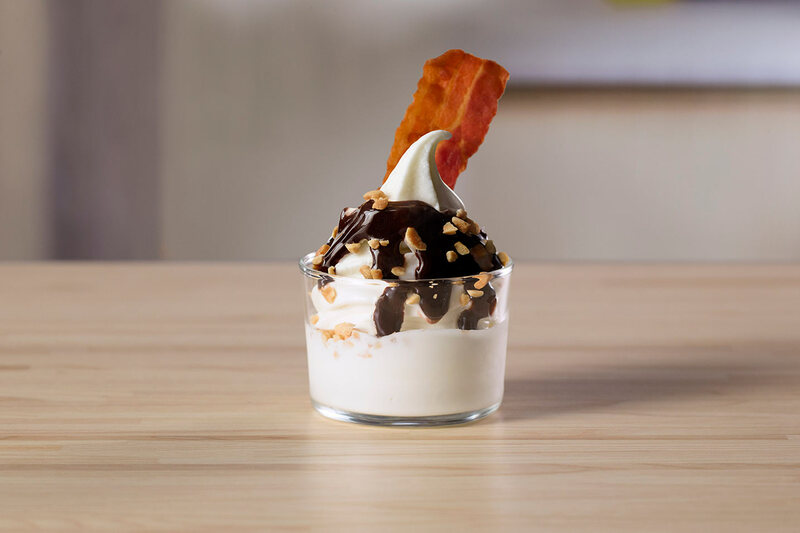 Don't miss your chance to enjoy bacon with your McFlurry or Sundae! I love to crumble the bacon over top of mine and get a little bit of that salty goodness in every delicious bite! Don't Miss Bacon Hour at McDonald's! McDonald's + Bacon + You = The Best Day Ever! 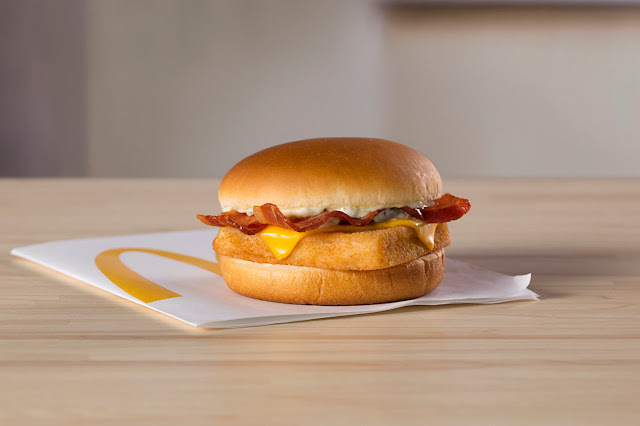 Don't miss your chance to get free bacon with any menu item at McDonald's! One day only, January 29. One hour, 4-5 p.m. (local time). At participating restaurants nationwide. For more information, head to McDonald's online and connect on Facebook, and Twitter. Be sure to show us how you enjoy your free bacon during Bacon Hour at McDonald's! Let's chat McDonald's + bacon in the comments or on social media! 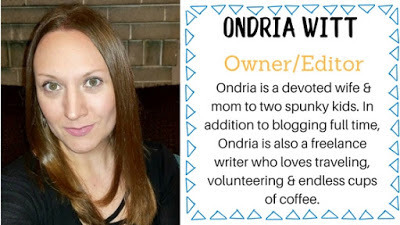 Join the conversation at @mommysblockparty on Facebook or @mommysblckparty on Twitter and IG. 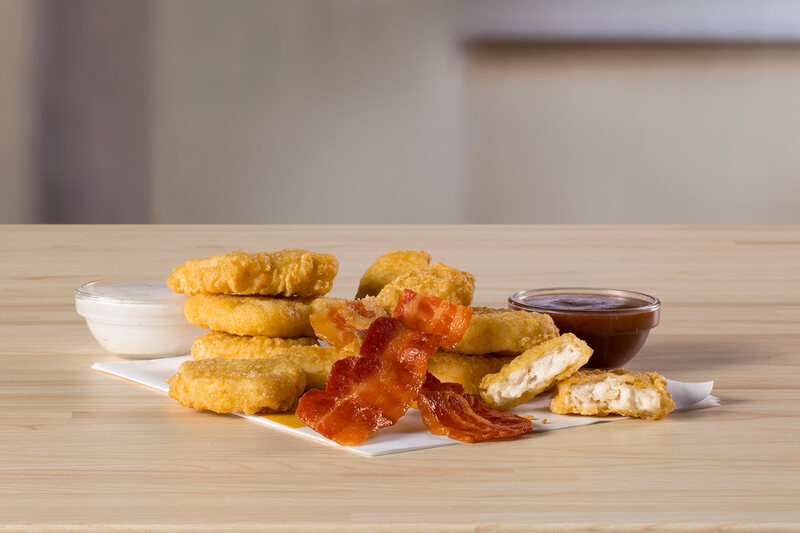 Which McDonald's menu item are you most excited to add bacon to?